The future hasn’t happened yet and the past is gone. So I think the only moment we have is right here and no, and I try to make the best of those moments, the moments that I’m in. I’m going to try to take that last quote to heart. Living in the moment has always been hard for me, but it is often crucial to happiness. 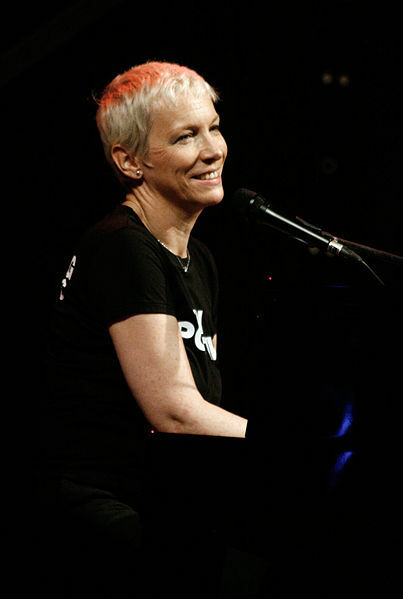 Annie Lennox, who many of us knew as half of the Eurythmics, is the most recognized female artist of the Brit Awards. She is also a humanitarian and social activist. Last year she received an Order of the British Empire from Queen Elizabeth II for her humanitarian work. If you want to know how to be a rock star, you can enter this giveaway for what is sure to become the Rock Star manual HERE. This entry was posted in The Quotable Nerdy Chick and tagged Annie Lennox, Annie Lennox quotes, smart female quotes, smart females, smart quotes.